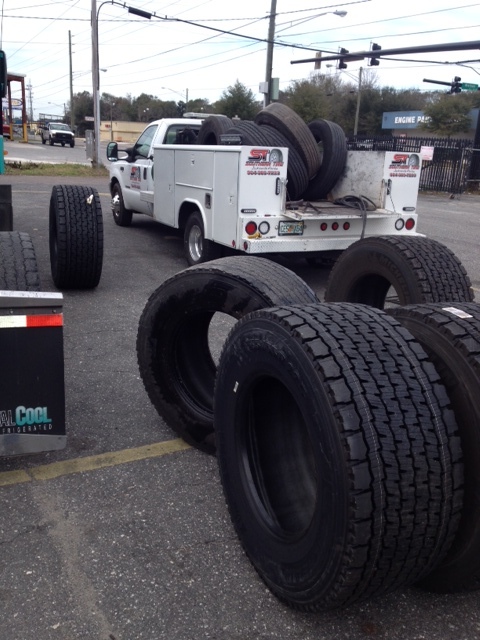 Southern Tire is Jacksonville’s number 1 source for quality used truck tires. If you run 1 truck or 100, Southern Tire has you covered. With 24/7 Emergency Road Service, Southern Tire can get you back on the road quickly with an average response time of 30 minutes. Southern Tire can handle any trailer repair needed. From hub seals to landing gear, Southern Tire is your single source provider. 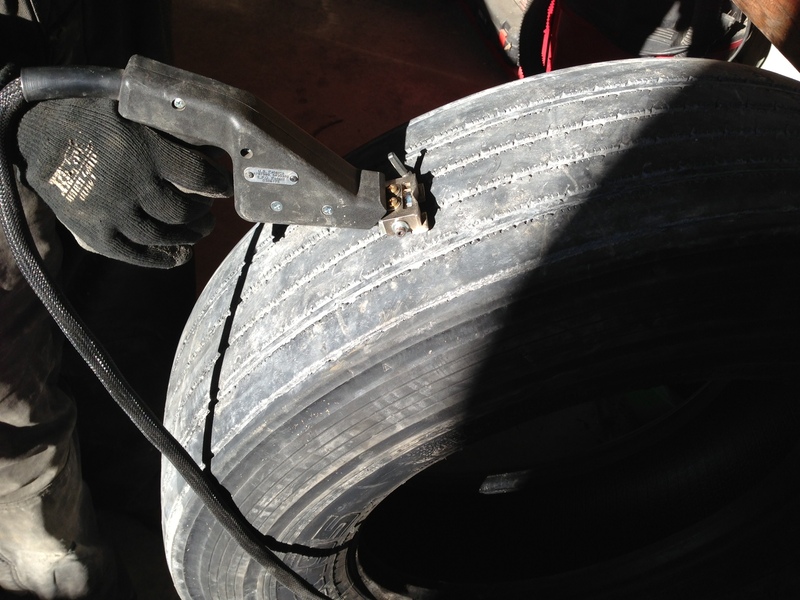 Tip of the day: Proper tire inflation is critically important to the life of the tire. With the large temperature ranges lately, stay on top of your tire pressure. Also a wise investment are “air-through” valve caps. These allow you to check your air pressure and air up without removing the cap. This protects you against leaking valve cores. If you are in the Jacksonville, FL area and have a commercial tire problem. Call Southern Tire! With over 25 years experience in the truck tire industry, Southern offers hands down, the best service in our market. Southern Tire carries a full line of New tires as well as the largest selection of quality used truck tires in the area. We carry retreads and high standard virgin re-grooves. Southern Tire can handle all your blowout related issues like mud flaps & brackets. Air line repair along with airbag and electrical damage. Bent & damaged wheels and rims are no problem at all. Southern Tire stocks a full line of both new and used. Southern Tire offers 24/7 emergency road service. If you have a truck down in our service area, one of our radio dispatched service vehicles can be roadside in an instant. ReGrooving? How many miles are left in your tires? 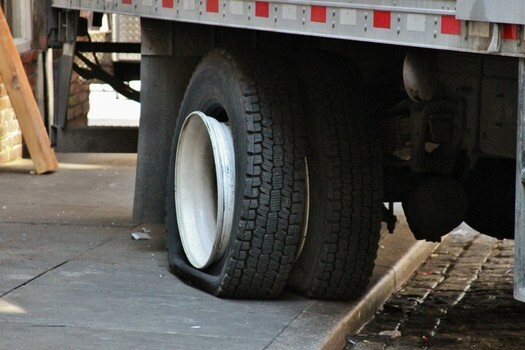 There are several schools of thought about re-grooving commercial truck tires. I see it like this. If a tire is re-grooved at the appropriate time, there is significant value in doing so. 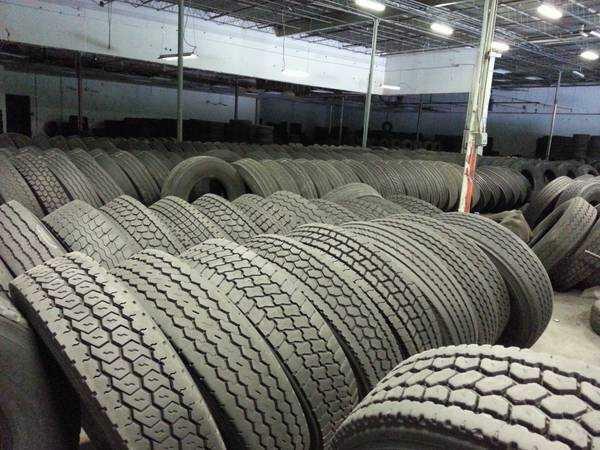 At Southern Tire, we are selective in the tires that we re-groove for resale. We only re-groove tires with at least 2/32″+ tread remaining. We don’t re-groove slick tires. We also only re-grove tires that show no signs of irregular wear. This guarantees our customers enjoy the benefits of a good running tire. Tread on a new tire, normally 18/32 to 32/32″ has room to “squirm”. So during torque, the tread can move back and forth and ease the pressure on itself. As the tread height decreases, the “squirm” reduces. Now when the tire is re-grooved, you are running on the bottom layers of rubber closest to the belt package. There is virtually NO “squirm” here. At this point, when too much torque is applied to the tire, it simply peels off in small strips to ease the torque on the tire. This is the main reason Southern Tire makes certain there is adequate original tread remaining on all the tires we re-groove! Correct matching being the most important factor when estimating the life of a re-grooved tire. If you pair up a re-groove with even a half used virgin tire, you can literally run the re-groove slick in under 10,000 miles. If you take the time to pair up your re-grooves, you will enjoy thousands of miles with little problem. In conclusion, Southern Tire is an advocate of Re-grooving truck tires if guidelines are met. If the correct tire is chosen, the process is done correctly, and the placement is correct, it’s well worth the time.